Pure Flix – where all of the failed ‘90s TV stars go to die. 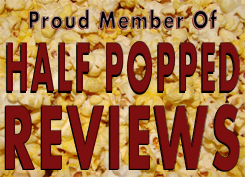 Here on Dave Examines Movies, I’m known to dabble a bit here and there in the world of Christian cinema. I actually believe there is a place for it, but it is incredibly hard to do right…primarily because they never know who their target audience is and they can’t hit a good presentation whatsoever. The movie studio Pure Flix is probably one of the more well known studios for this scene, but God’s Not Dead is probably one of their most famous movies for quite a few reasons…well mostly speaking – it went to theater…which is rare, plus the title is based off of a Christian rock song of the same title…so obviously Christians everywhere were pumped to see the movie and thought it was wonderful. What did I think? To answer that, let’s first talk plot. We have a pretty straight-forward plot. It’s about a student named Josh Wheaton (not Joss Whedon, as I thought I heard initially). This kid is super-religious, and his literature teacher isn’t. In fact, Professor Radisson (Kevin Sorbo) is as athiest as they come. He tells his class that they have to sign a paper saying “God is Dead” or they will lose 30% of their final grade…but one kid stands up to him. That’s right, Josh Wheaton. It’s up to him to persuade the class otherwise, that God’s not dead…even though all the odds seem to be against him in this. Why was this so hyped up to begin with? Well that’s pretty simple, it was a Christian movie in theaters nationwide, annnd…it’s all based on a song by the Newsboys with the same title. Let me tell you a little something about the Newsboys. I grew up with them. I loved them. Throughout the years, they disbanded. One by one, until each member was pretty much replaced. Their entire routine changed. The band in this movie…the one that wrote that song? That’s not the Newsboys. Those are the…something else, but they aren’t the Newsboys and I wish they wouldn’t keep calling themselves that. Of course the whole movie was practically centered around their concert at the end – with posters on the walls and tickets in hand, etc. That’s not important, though, let’s just talk about the movie itself. I’ll tell you the one and only thing I liked about this movie, because it is a big one. The discussion/speech aspect. That kid talking about God through his faith and passion was admirable. I can respect a well-written and executed speech. So his defense and back-and-forth with his professor were all pretty good scenes…but that’s all I cared about. The rest was complete hoopla. These people…they don’t act normal. I know the movie is based on actual legal cases, and that’s just the thing. Legal cases, what this professor is doing is highly illegal…and yet…that’s not even touched in the movie – and the kid is studying pre-law. How is he not just outright suing the teacher for infringing his First Amendment rights? That goes beyond me, but anyways – the sourness and evil nature that the teacher has is complete honky and unbelievable – as is the rash actions taken by the kid’s girlfriend. Most of what happens in this movie…doesn’t make realistic sense. Forget the religious aspects…just look at how everyone interacts with each other…it’s way over-the-top and unbelivable. It’s really ridiculous. One of the main things I complain with these types of films is that in two or three scenes, there are these unrealistic “sit-down” moment where one person talks to the other about Jesus. Two or three times is too much, and this entire movie is littered with them…almost every second of the movie…there is a sit-down of some type or another and it was so obnoxious…we get it! Here’s what really gets me. “God’s Not Dead” is the title. Great choice, so I want you to convince the audience. Tell us something we haven’t heard before. Nope, all still the same thing we’ve heard countless times, making this film incredibly pointless. Why? Because as I stated from the beginning, they don’t know their own target audience. If they want to reach out to those people struggling and hurting, they have to do so in a way that will actually reach them. These Christian movies do the same thing over and over again. They make movies that only appeal to other Christians…they aren’t turning or helping anyone. I just don’t get it. “It’s all about the message” they’ll say. That’s great. I’m all for good messages in film, but in order to have a successful message told – it needs to be told right. A good message is one thing, but without the message being executed through a good story…you have nothing. In all honesty, the debating scenes were well thought out and executed. Everything else. From chemistry, to interactions outside of class, to random people’s life stories that are in all honesty unnecessary, to non-stop “sit-down” moments, to improper target audience expectations, to the freaking “NEWSBOYS” frauds.